Roberto Rivas and Ignacio Fons hill represent the UGPM squad at the 67th Boyd Quaich Memorial Golf Tournament, St Andrews University. The torunament will be held on the Old Course the next 21st to 23rd July 2015, just two days after The Open Championship finishes, played at this same course. 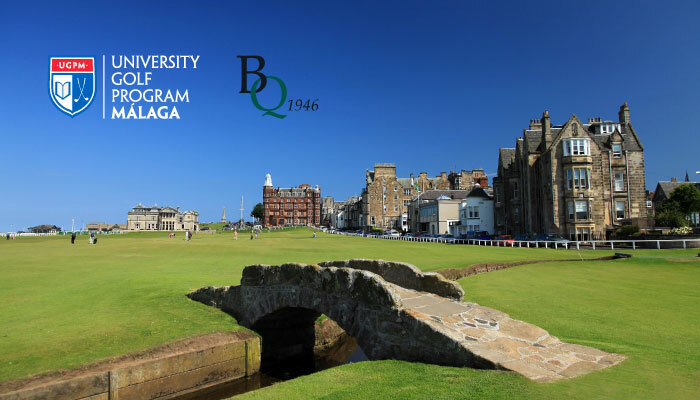 The Boyd Quaich is an international tournament for university students with good handicap and a counting event for the WAGR.